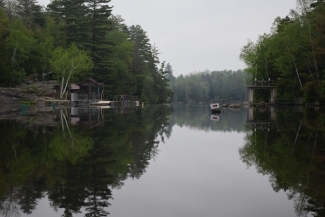 LAKE PLACID — Sometimes teams can show a bit of letdown after capturing a big-time, emotional victory, and especially when the next opponent has been struggling. That certainly wasn’t the case with Saranac Lake’s volleyball players. 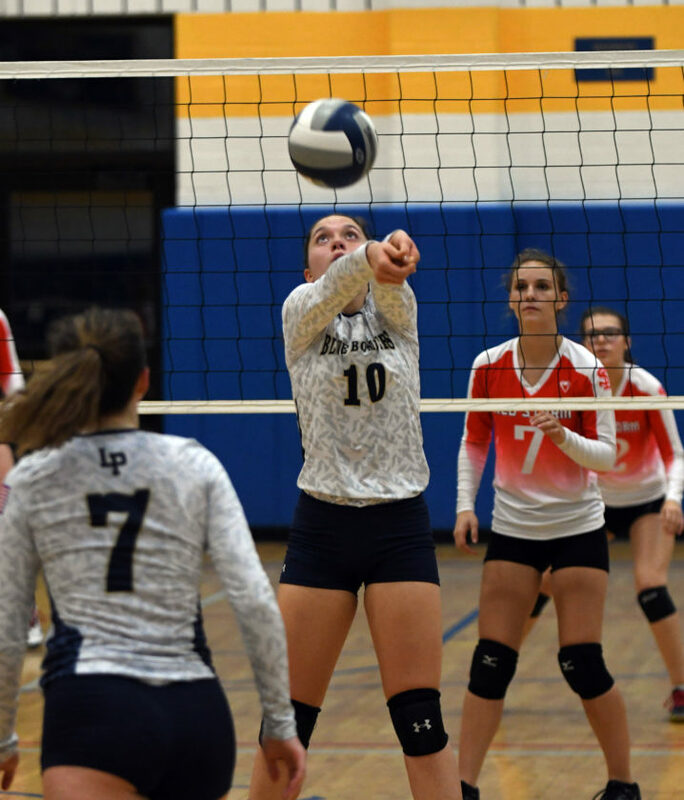 After knocking Peru from the unbeaten ranks on Monday, the Red Storm chalked up another win on Thursday, claiming a 3-0 sweep on the road over Lake Placid. 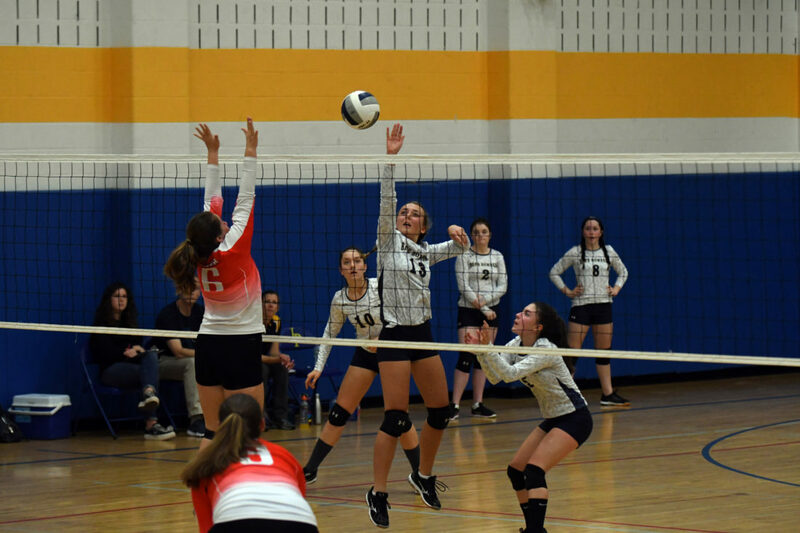 Facing a Blue Bombers squad that has won just once this season, Saranac Lake triumphed by 25-18, 25-12 and 25-20 scores in a match that turned out to be exciting and competitive, despite lasting just three games. 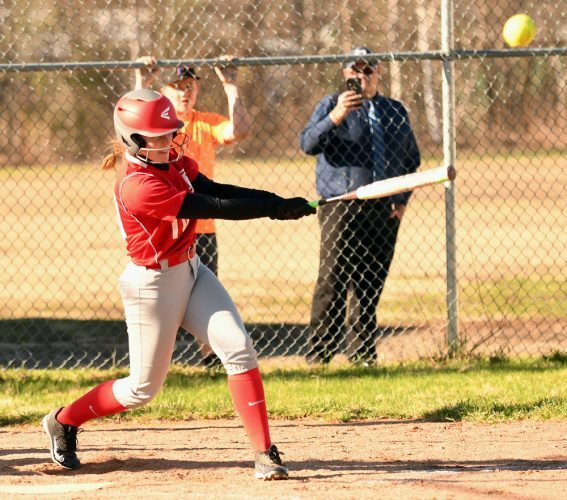 Each game was close early on, with both teams trading leads, but each time down the stretch, Saranac Lake was able to pull away while improving to 8-3 in the Champlain Valley Athletic Conference. The Blue Bombers were a much more improved squad than when the teams met for the first time early in the season, but in the end, the Red Storm turned in another solid performance to get the job done. With Sydney Andronica and Marissa Gibbs leading the defensive effort and Danielle Gonyea pacing play along the net, Saranac Lake proved to be the tough opponent the young Blue Bombers were expecting. 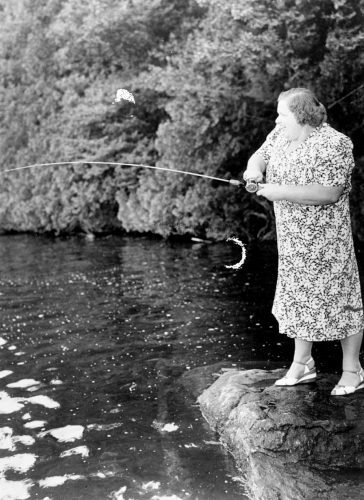 Lake Placid, however, never backed down, and that pleased their first-year coach Sandy Huber. Andronica and Gibbs both finished with a match-high 16 digs, and Gonyea turned in a well-rounded performance that included 10 points, five aces and eight kills. Gonyea said she knew from the start that the Blue Bombers were much better team than the one that lost to Saranac Lake back on Sept. 13, also by a 3-0 score, and added that it took the Red Storm a little time to settle into the match. Gonyea added that although Lake Placid isn’t as strong as some other teams in the CVAC, it doesn’t take away from the longstanding rivalry between the two schools. Katie Gay also had a solid outing for the Red Storm, finishing with a match-high 15 points. Evelynn Sharp led Lake Placid at the net with eight kills, and also contributed 8 assists and five digs. Also for the Blue Bombers, Grace Crawford had 12 digs and five kills, Barrett Smith recorded nine digs and Rose Burns finished with a team-high eight points. Huber said she was happy with her team’s ability to keep things close. Saranac Lake coach Mike Navarra credited Gonyea with a solid night, and thought the rest of the Red Storm also performed well. “I’m happy with the way they played; I’m happy with the way they communicated; I’m happy I was able to get of my backups in. They did a great job,” he said. 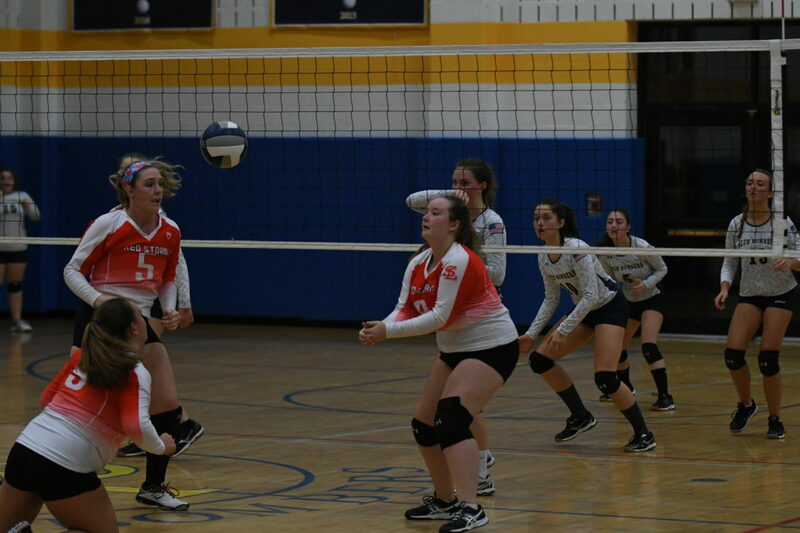 Saranac Lake next plays at home Monday against Northern Adirondack starting at 6 p.m. Lake Placid’s next match is on the road Monday at Peru. Saranac Lake – Andronica 4 points, 2 aces, 16 digs; Bearce 4 points, 1 ace, 4 assists; Gonyea 10 points, 5 aces, 8 kills, 3 digs, 2 blocks; Glover 3 digs; Gibbs 1 point, 3 kills, 16 digs; O’ Brien 7 points, 1 ace, 2 kills, 6 assists, 2 digs; K. Gay 15 points, 1 ace, 3 kills, 2 assists, 4 digs; M. Gay 4 points, 2 kills, 3 digs; Burdt 3 points, 3 digs; Leeret 1 point, 1 dig. Lake Placid – Kelly 1 kill; Hudson 1 ace, 3 digs; Sharp 2 points, 8 kills, 5 digs, 1 block, 8 assists; Smith 1 point, 2 aces, 3 kills, 9 digs; Armstrong 3 points; Bashaw 5 points, 1 ace, 3 kills, 4 digs, 1 block, 4 assists; Crawford 1 ace, 5 kills, 12 digs, 1 block; Burns 8 points, 2 aces, 4 digs, 1 assist.